Mother’s love makes miracles. You’ll find out about it by reading this extraordinary story. When Victoria Weaving-Shorrocks went into a traumatic 15-hour labor, she and her husband Richard didn’t know what to expect. When their son, Luke, was finally born, looks of panic and dread were on the faces of the hospital staff. Doctors then told the first-time mother that her son was dead. The doctors thought there was nothing that could be done for their son so she asked to cuddle him. 36 minutes later… he began breathing! He was rushed into intensive care. Luke was weak and barely breathing when he was born… and doctors mistakenly thought he passed away. Because of the lack of oxygen to his brain, Luke suffered severe brain damage. 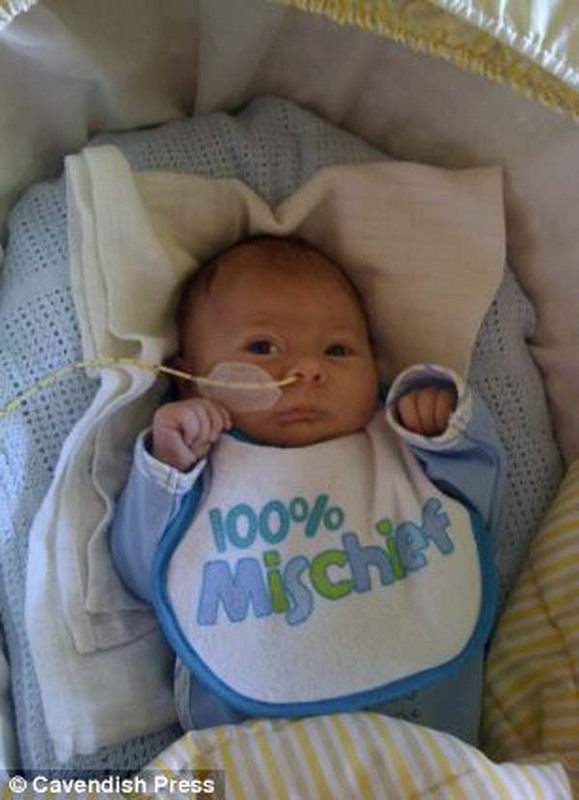 Luke stayed in the hospital for 5 weeks before he was sent home. But unfortunately, just three short months later, Luke’s condition deteriorated and he passed away after being rushed back to the hospital. This is the kind of tragedy you would never wish upon another person. Not only are Luke’s parents experiencing grief that would be impossible to understand, but this baby boy might have had a chance to live if the situation was handled better. Remember Luke by sharing his tragic story with others online.